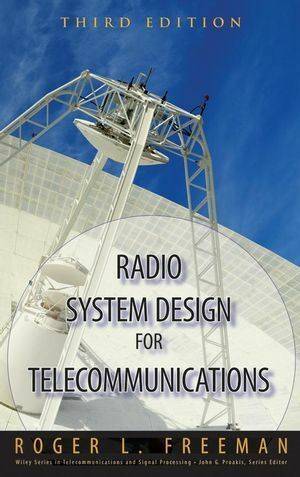 The Second Edition of this critically-acclaimed text continues the standard of excellence set in the first edition by providing a thorough introduction to the fundamentals of telecommunication networks without bogging you down in complex technical jargon or math. Although focusing on the basics, the book has been thoroughly updated with the latest advances in the field, including a new chapter on metropolitan area networks (MANs) and new sections on Mobile Fi, ZigBee and ultrawideband. You’ll learn which choices are now available to an organization, how to evaluate them and how to develop strategies that achieve the best balance among cost, security and performance factors for voice, data, and image communication. ROGER L. FREEMAN is founder and Principal of Roger Freeman Associates, independent telecommunications consultants, specializing in system engineering in the United States, Canada, and Hispanic America. In the course of over forty-five years' experience in telecommunications operations, maintenance, and engineering, he has served as principal engineer for advanced system planning at the Raytheon Company, technical manager for ITT Marine Europe, and regional planning expert for the International Telecommunications Union (ITU), among other positions. In addition to the previous edition of Fundamentals of Telecommunications, Mr. Freeman has written six other books on the subject of telecommunications engineering: Reference Manual for Telecommunications Engineering, Third Edition; Fiber-Optic Systems for Telecommunications; Telecommunication System Engineering, Fourth Edition; Radio System Design for Telecommunications, Second Edition; Practical Data Communications, Second Edition; and Telecommunications Transmission Handbook, Fourth Edition, all published by Wiley. A senior life member of the IEEE, Roger Freeman has lectured at numerous professional conferences and published widely in international telecommunication journals. Chapter 2. Signals Convey Intelligence. Chapter 3. Quality of Services and Telecommunication Impairments. Chapter 4. Transmission and Switching: Cornerstones of a Network. Chapter 5. Transmission Aspects of Voice Telephony. Chapter 8. Local and Long-Distance Networks. Chapter 9. Concepts of Transmission Transport. Chapter 11. Enterprise Networks I: Local Area Network. Chapter 12. Enterprise Networks II: Wide Area Networks. Chapter 13. Metropolitan Area Networks (MANs). Chapter 14. CCITT Signaling System No. 7. Chapter 15. Voice Over Packets in a Packet Network. Chapter 17. Community Antenna Television (Cable Television). Chapter 18. Cellular and PCS Radio Systems. Chapter 19. Advanced Broadband Digital Transport Formats. Chapter 20. Asynchronous Transfer Mode. Appendix A: Review of Fundamentals of Electrivity with Telecommunication Applications. Appendix B: A Review of Mathematics for Telecommunication Applications. Appendic C: Learning Decibles and Their Applications. Appendix D: Acronyms and Abbreviations.